Psoriasis is a skin condition that causes skin redness and irritation. Psoriasis develops when the body’s immune system sends incorrect signals to the skin cells which then triggers the skin cells to multiply quickly. The skin cells multiply quickly leading to thick, red, and well-defined patches of skin with white, flaky-like scales called plaques. Psoriasis is not contagious. As such, you do not contact psoriasis via touching a psoriasis patient. Psoriasis is an autoimmune disease in which the immune system causes abnormal growth of skin cells. Furthermore, psoriasis tends to get passed down through families. It also tends to be worse in people with a weak immune system. Common symptoms of psoriasis include; pink-red in color, dry with white flaky scales, pain, itching, and inflammation. Other symptoms include; tendon or joint pain/ache, severe dandruff, and change in nails (such as yellow-brown nails with dents). Psoriasis can affect any part of one’s skin but mostly occurs in the knees, elbows, palms, and scalps. Factors that can trigger psoriasis include; too much sunlight (sunburn), dry skin, stress, viral or bacterial infections, tobacco smoking, too little sunlight, injury to the skin, and certain medications such as lithium, beta-blockers, and antimalaria drugs. Ensure you take a daily bath or shower. Furthermore, try not to scrub too hard, while bathing, as this could trigger a flare-up. You may use humidifiers to help keep your skin moist. Exposing your skin to sunlight may help subside the symptoms of psoriasis. However, try not to get sunburned. You could opt for relaxation and anti-stress techniques, such as meditation, yoga, and deep breathing, as they may relieve psoriasis flares. Avoid perfumes and dyes as they may irritate the skin. About 10 to 30 percents of psoriasis patients end up developing psoriatic arthritis. As such, consult your health care provider if you notice the onset of arthritis. The natural pH of the skin can be restored well with apple cider vinegar to relieve the itching associated with psoriasis. ACV also inhibits microbes, thus, preventing the risk of an infection. To prepare this remedy, dilute ACV with equal parts of water and apply it directly to the affected skin but make sure you do not apply it to broken skin or bleeding areas. You may also mix some ACV with three parts of warm water and dip a clean piece of cloth in it. Remove the excess water from the cloth, then, place the cloth over the itchy patches. Consuming apple cider vinegar on a daily basis is also known to promote healing as it detoxifies the body. Simply mix a teaspoon of ACV with a glass of water and drink it two times a day. Garlic has powerful anti-inflammatory properties which are known to relieve the condition in an incredible way. The high amount of antioxidants present in the garlic promotes healing and reduces the discomfort. Garlic inhibits the activity of an enzyme, called lipoxygenase, which is responsible for causing inflammation of the skin. Furthermore, garlic’s antimicrobial attributes reduce the chances of developing an infection. For this remedy, take some garlic oil and mix it with aloe vera gel. Then, apply the mixture to the dry patches on the affected skin and let it stay for at least 12-15 minutes. Wash it with plain water thereafter. Chewing a few crushed garlic cloves is also proven to work well in reducing the symptoms. For better results, crush the garlic and let it sit for 8-10 minutes before consuming. Olive oil helps in deeply moisturizing the skin and reduces the dryness. It may effectively reduce itchiness and scaling. Furthermore, olive oil contains polyphenols that help in treating psoriasis. Warm some olive oil and apply it generously over the entire affected area. Reapply several times in a day to obtain beneficial results. Colloidal oatmeal is easy to use and is readily absorbed by the body to foster beneficial results. Colloidal oatmeal contains beta glucans, starches, antioxidants and anti-inflammatory compounds which are needed to treat psoriasis in an effective manner. It not only soothes the irritated skin but also cleanses and moisturizes it deeply. For this remedy, fill warm water in a bathtub and add a cup of ground oatmeal into the tub. Soak your entire body in it for 18-20 minutes and pat dry later. Apply a moisturizer thereafter. Turmeric is a useful ingredient for dealing with numerous skin disorders including psoriasis. It has a compound called curcumin which imparts anti-inflammatory properties. To a glassful of almond milk, add a teaspoon of powdered turmeric. Then, add a little amount of honey to it and mix well. Consume this remedy once every day for several weeks. You may also apply a paste made of turmeric powder and water to the affected area. Put a gauze over it and let it stay overnight. Wash your skin the next morning. Do this remedy every day until you see an improvement. Cayenne pepper contains capsaicin, a compound that helps in reducing inflammation and pain. Applying a cream containing capsaicin may help alleviate the symptoms in an easy way, but make sure you handle it carefully and do not apply it on your face or near the eyes. Furthermore, do a patch test to know if you are allergic to it before you apply it to the problem area. Wash your hands thoroughly after every single use. The high concentration of magnesium, present in Epsom salt, is effective in detoxifying the skin. Epsom salt also keeps the skin soft and reduces itching almost instantly. For this remedy, add two cups of Epsom salt in a warm bathtub and relax in it for 18-20 minutes. Don’t forget to pat dry your skin and use a moisturizer to prevent dryness. 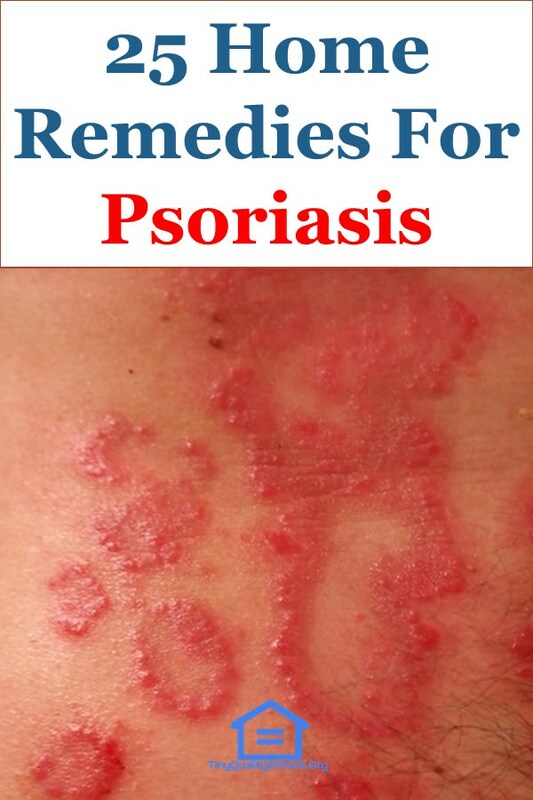 Doing this remedy 2-3 times every week may slowly help in alleviating the symptoms of psoriasis. You could use sea salt if Epsom salt is not readily available. Fish oil has a high amount of omega-3 fatty acids, which is known to have a beneficial action on the skin. Omega-3 fatty acids treat the symptoms of psoriasis in an amazing way. Although the easiest way to increase your levels of omega-3 fatty acid is taking it in form of supplements, you may reap more benefits by obtaining it from food. Consuming oily fishes such as mackerel, salmon, tuna, and sardines, which have this fatty acid in high amounts, ensure better omega-3 fatty acid absorption by the body for a healthy skin. However, if you are not able to consume fish, take the supplement. Avoid consuming fish oil if you take blood-thinning medications. This simple ingredient can be effective for the dry, flaky and itchy skin. Glycerine helps in keeping the skin moisturized and preventing excessive dryness. It makes the skin soft and reduces flaking. Furthermore, glycerine contains glycerol which is known to promote a healthy skin. Apply glycerine to the affected area and let it stay for a long period of time. You may use it 2-3 times every day for several weeks for a visibly healthier skin. Licorice is an excellent ingredient for the treatment of various skin problems. It offers a number of benefits for treating psoriasis too. Compounds such as glycyrrhizin and glabridin, present in licorice root, are helpful in reducing the symptoms of psoriasis and other skin conditions. Glabridin and glycyrrhizin not only reduce inflammation but also soothe the skin to combat irritation. You may apply a 2% licorice cream to the affected areas twice every day for some weeks or prepare a homemade solution and apply to your skin. For the homemade solution, you could start by boiling about 2 tsp of the dried roots of licorice in 6 cups of water. Then, let it simmer for at least 40 minutes. Remove from heat and let the solution cool. Strain it into another bowl and soak a clean piece of cloth in it. Apply the damp cloth to the affected area. Do this remedy twice or thrice every day. Avoiding sugar may greatly help in reducing the flare-ups. Sugar can be detrimental to your skin, especially if you are dealing with a skin condition such as psoriasis. It can increase inflammation by irritating the skin. Therefore, it is important to avoid sugary foods and even sweet fruits to minimize flare-ups. You could also opt for a Mediterranean diet to help reduce psoriatic flares. Excessive dryness can aggravate the condition and is likely to make the skin difficult to heal. Therefore, it is important to always keep your skin hydrated to prevent as well as treat psoriasis. Keeping your skin hydrated makes the skin soft, thus, reducing the formation of flakes as well as reducing discomfort and itching. Use a moisturizer generously on your skin after you wash it or after bathing to lock in moisture and prevent the skin from getting dry. You may use natural oils such as olive oil and coconut oil to keep your skin in its best form. The main benefit of tea tree oil for skin is preventing it from an infection, thanks to its potent antimicrobial action. Tea tree oil also helps in loosening the scales and making the skin smooth and less irritated. However, special care must be taken while using this ingredient as it can be toxic if ingested. Eating too much of foods that are packed with proteins such as dairy and meat may lead to frequent flare-ups of psoriasis. The best way to deal with this issue is to reduce your meat and dairy intake and replace it with a vegetarian diet to boost your fiber levels that help in managing psoriasis. Milk thistle contains a combination of flavonolignans, such as silibinin, isosilibinin, silicristin, silidianin, that are helpful in treating the irritated skin naturally. Milk Thistle is also known to reverse liver damage and improve the functioning of your kidneys while benefiting your skin. 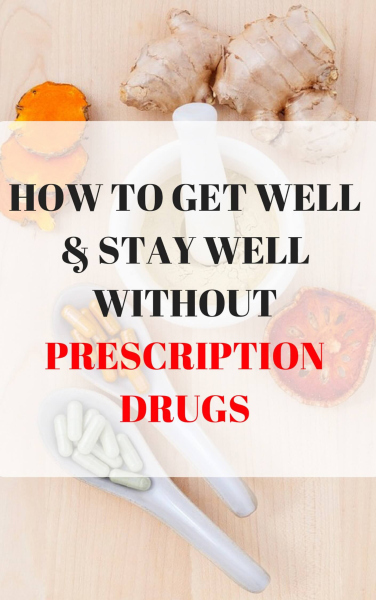 Start taking milk thistle supplement after talking with your doctor about any drug interaction that could be possible. It is evident, from various studies, that Oregon grape bark extract helps in regulating the immune response which is responsible for causing psoriasis flare-ups. Oregon grape can be used topically over the skin in form of 10% cream. Oregon grape may interact with other medications, so it is important to check with your doctor about its suitability, especially if you are taking other medicines. If you are suffering from psoriasis, it is best to say no to alcohol. Various studies show that alcohol increases the frequency of flare-ups by many times. Furthermore, alcohol has numerous ill-effects on your body including dehydration. Therefore, limit your consumption or completely stop drinking to heal your skin faster. While it is a good health practice to minimize your exposure to harmful UV radiation, exposing your body to the sun may have some benefits. It is observed that the psoriasis spots tend to fade out during the high summertime when the rays of the sun are strong. However, overexposure to the sun may damage your skin and may even lead to skin cancer. You may want to use a sunscreen with SPF of 30 or higher to protect the undamaged parts of your skin. Furthermore, as some psoriasis treatment creams may make your skin sensitive to sunlight, talk with your doctor to know how to expose your body to the sun to reap the benefits. Also, know how long you should stay under the sun to heal your psoriasis. Including fruits and vegetables in your daily diet may promote healing in a natural and effective way. Fruits and veggies not only provide nutrition to your body but are also high in antioxidants that are great for the skin. So fill your pantry with these fruits and vegetables and replace processed and sugary food with them. Make sure, you do not consume too much of sweet fruits. Aloe vera not only moisturizes but heals the skin in a great way. It contains various nutrients that soothe the skin and reduces inflammation. You may either apply any aloe vera based cream on the scaly patches or simply extract fresh gel from the aloe leaf and spread it on the problematic skin. Cigarette smoke, including second-hand smoke, can be extremely damaging for psoriasis patients. Cigarette smoking increases the frequency and intensity of the flare-up and aggravates your condition. Besides, cigarette smoking can damage your other organs too. So avoid smoking as much as possible, or quit the bad habit completely, to increase your chances of healing faster. Perfumes and dyes contain harsh chemicals that can be damaging to your sensitive skin. If you have psoriasis, switch to all natural products and home remedies instead of using these products. This would prevent the symptoms from worsening. Stress can exacerbate your condition by multiple folds. Therefore, it is important to stay stress-free to promote a faster healing. You may easily curb stress by practicing meditation. The stress relieving ability of meditation is helpful in relaxing and calming the body which promotes the functioning of the organs of your body. Take out some time from your busy schedule and meditate on a daily basis. Acupuncture is another remedy that shows positive results in treating psoriasis. There are different points located in your body that can be punctured to stimulate healing of psoriasis. However, it is essential to get it performed by a reputed and experienced practitioner to avoid any complications. Besides imparting a relaxing effect to the body, chamomile also reduces inflammation of the skin, thereby relieving the symptoms of psoriasis. Take a teaspoon of dried chamomile flowers and add it to a cup filled with boiled water. Let it sit for 10-12 minutes. Filter the solution into another bowl and dip a piece of cloth in it. Apply it to the scaly skin to soothe and heal it naturally.